PPT linear flow 4 divisions2 PowerPoint Templates-Visually support your ideas and define your message with our above diagram. This image identifies the concept of stages in process. This attractive image makes your presentations professional and interactive. Deliver amazing presentations to mesmerize your audience.-PPT linear flow 4 divisions2 PowerPoint Templates-4 divisions, Abstract, Arrow, Blank, Business, Chart, Circular, Circulation, Concepts, Conceptual, Design, Diagram, Executive, Icon, Idea, Illustration, Management, Model, Numbers, Organization, Procedure, Process, Progression, Resource, Sequence Try us out and judge for yourself. 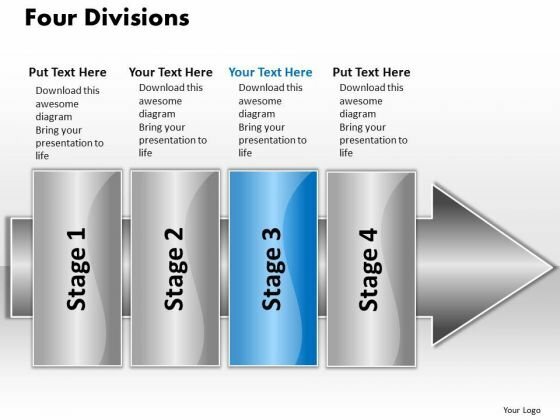 Be a winner with our Ppt Linear Flow 4 Divisions2 PowerPoint Templates. Make sure your presentation gets the attention it deserves. Provide insights with our Ppt Linear Flow 4 Divisions2 PowerPoint Templates. Download without worries with our money back guaranteee.